I learned some great information from the talk. Let me share one of them here: a very useful trick if you plan to store JSON documents in your MySQL database and want to retrieve the documents from some attribute’s values. 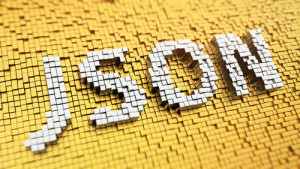 So let’s look at how to do JSON document fast lookup with MySQL 5.7! In this short example, I show you how we can speed up this type of search using JSON functions and virtual columns. Now let’s try to find all records where the street is “BEACH”. “Street” is part of the array attribute properties. As you can see, we perform a full table scan to achieve this. I use “json_unquote()” to avoid to add the JSON string quotes in the column, and later in the index. You can verify the size of the table on disk, and you will see this doesn’t increase (as it’s a virtual column). As you can see, this is very fast. If you already know how you want to retrieve data out of your JSON document, it’s very easy to add such indexes in MySQL. Great article! What would be the best approach of indexing a property that’s an object or array? Also, what method did you use to load the data from https://github.com/zemirco/sf-city-lots-json? I’m trying to do that locally but can’t think of an easy way. Percona Mysql 5.7 support JSON data type?